Provide horticulture training through the website, hands-on activities and traditional classes. Let the experts help you become a Master Gardener! Our youth are learning employment skills, forming healthy relationships, becoming physically fit, thinking green and exploring science through 4-H. Supplemental Nutrition Assistance Program - Education SNAP-ED is designed to help people in the community make healthier choices. University of Illinois Extension (“Extension”) is the flagship outreach effort of University of Illinois at Urbana-Champaign, offering educational programs to residents of all of Illinois’ 102 counties – and far beyond. In Lake County alone, Extension accomplishes this by providing exciting and life enriching research based programs that annually touch over 100,000 lives in the following areas: 4-H Youth Development, Nutrition Education, Local Foods/Small Farm and Horticulture/Master Gardener. The 4-H program reached over 10,000 youth and adults in Lake County through in-school, home-school and after-school programming. There are over 400 3rd – 12th graders enrolled in 17 clubs led by 55 adult volunteer leaders. The Nutrition Educational Program known as the Illinois Nutrition Program (INEP) reach over 18,000 participants by tailoring educational lessons for low-income youth and adults to enhance their knowledge about nutrition through programs on food safety and buying and preparing healthy meals, all to assist in decreasing the rate of obesity in Lake County. The Local Foods/Small Farm and the Volunteer Master Gardeners program reached over 5,000 participants. Volunteers contribute over 6,000 volunteer hours valued at over $113,000 back to the community of Lake County. We offer these programs to all residents of the county at little or no cost. In order to continue to fund the programs we provide for the community, we need your support. By conducting local fundraisers, acquiring private donations and financial support from the local governments, the Extension is able to continue offering these programs. Local funds raised are then matched to some degree with State dollars (currently 65%) that were secured by the University of Illinois Extension. However, due to State of Illinois budget cuts, the Extension will have a shortfall in its FY 2016-17 budgets. As a result, the Extension may not be able to offer the same level of services to the community if funds are not raised and restored via Foundation efforts. We need YOU and your donations to continue to fulfill our mission and make life changing impacts on our community. 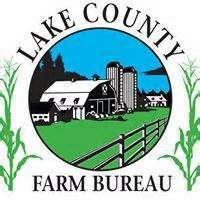 Call us today at (847) 223-8627 for more information on Lake County Extension programs and how you can volunteer and support the foundation. 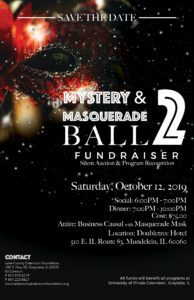 The Lake County Extension Foundation requests that you join us for our Mystery & Masquerade Ball Fundraiser. 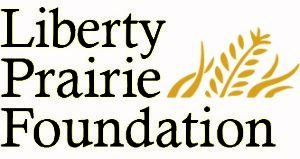 This banquet is our premier event for the Lake County Extension Foundation to raise funds to support programs of the University of Illinois Extension in Lake County. This exciting event will be held on October 12, 2019. 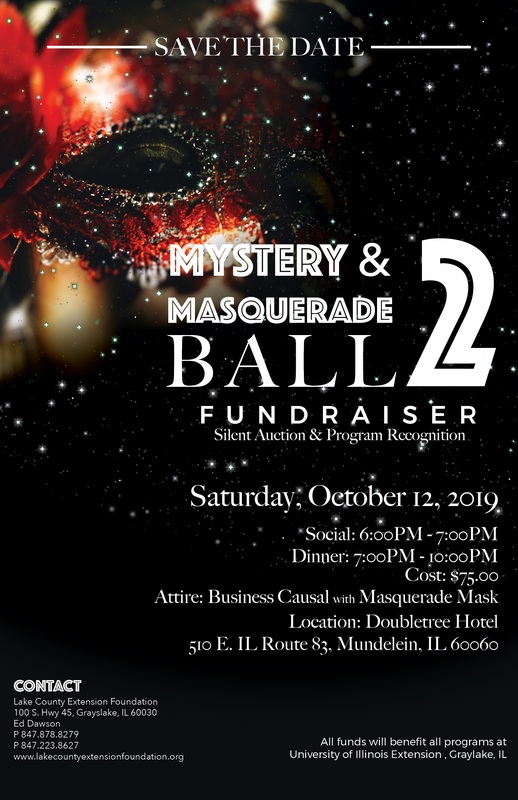 The Social will be from 6:00 pm – 7:00 pm and the Dinner from 7:00 pm – 10:00 pm at DoubleTree by Hilton Libertyville-Mundelein Hotel, 510 E. IL Route 83, Mundelein, IL 60060. More information coming soon on the Mystery & Masquerade Ball, purchasing tickets and sponsorships for the event. 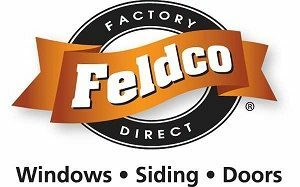 Thank you to our 2018 Annual Gala Sponsors! © Copyright 2017 Lake County Extension Foundation, Inc.